For those interested in a bit of Globetrotter history, The Harlem Globetrotters are neither originally from Harlem nor did they start out as the professional comedic basketball team they are today. The Harlem Globetrotters actually started in the 20s as an all African-American exhibition basketball team in the south side of Chicago known as the Savoy Big Five. The original team played in Chicago’s Savoy Hotel ballroom before dances. In 1927 a new name was debuted, New York Globetrotters, with little to do with New York or trotting around the globe. The team began touring around the country. “New York” was taken out of the team name in 1930 and the word Harlem added, as organizes hoped to capitalize on the team’s strong ties to African-American culture. It wasn’t until the 1930s that the team even played in Harlem. Take the Harlem Globetrotter trivia quiz to be entered to win! We have (1) set of 4 Tickets with 4 Meet and Greet passes to giveaway – for the Lake Placid (NY) Harlem Globetrotter Show February 22 , 7 pm at the Lake Placid Olympic Center. • Answer all the questions correctly. • Click the button to find your score. • On the score page click "Email me" to AdirondackFamilyTime and email your entry/quiz score to be entered in the Harlem Globetrotter Trivia Contest. One winner will be randomly selected from all submitted entries. The Winning Tickets will be available at Will Call on the day of the game. Giveaway ends on Sunday, February 19, 2017 at 11:59pm EST. Void where prohibited. We have (1) set of 4 Tickets with 4 Meet and Greet passes to giveaway – for the Lake Placid (NY) Harlem Globetrotter Show February 22, 7 pm at the Lake Placid Olympic Center. One winner will be randomly selected. Tickets will be available at Will-Call on the day of the game. Giveaway ends on Sunday, February 19, 2017 at 11:59pm EST. Void where prohibited. Where, and in what year, did the Harlem Globetrotters play their first road game? What is the Globetrotters’ theme song? Are The Globetrotters the first sports team to have a star on the Hollywood Walk of Fame? 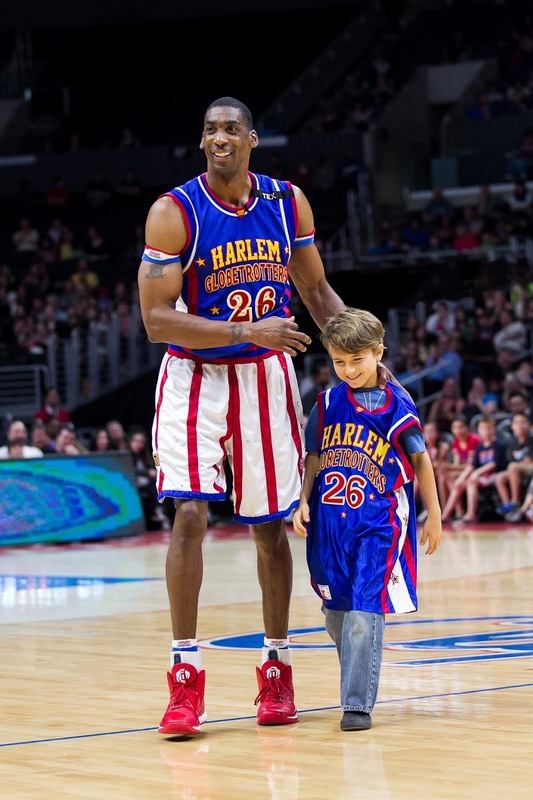 Who are some of the people who been named official Honorary Harlem Globetrotters? Thank you for participating in this contest for Harlem Globetrotter tickets at the Lake Placid Olympic Center. • Click the "email me" button to find your score. • On the score page click "Email me" to AdirondackFamilyTime and email your entry/quiz score to be entered in the Harlem Globetrotter Contest. Good luck! We hope to see you at the game! 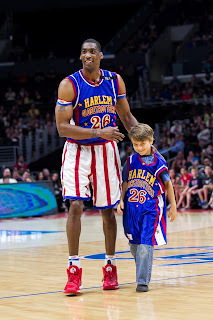 Disclosure: Adirondack Family Time received Harlem Globetrotter game tickets. © Diane Chase is the author of the Adirondack Family Time™ guidebook series. Adirondack Family Time™guidebooks have easy, short Adirondack family hikes for ADK kids, parents, retired, seniors, dog-owners, Adirondack swimming holes, Lake Placid Olympic activities, Adirondack trivia, Adirondack horseback rides, Adirondack snowshoe family trails and more. Look for the Adirondack family guidebooks online or bookstores/museums/sporting good stores. Diane is currently working on the next Adirondack Family Activities™ guide.